Have you ever had an experience like this in LAKE FOREST, CA? You drive through the one of those automatic car washes. When you get to the end, where the dryer is blowing, your Check Engine light starts flashing! Now a flashing Check Engine light is serious. 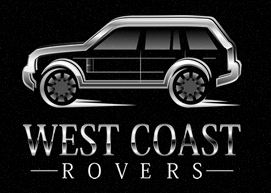 You need to get it into West Coast Rovers as soon as possible. But if it stops flashing you can wait a few days, so you have time to see if the problem will clear itself or if you need to get it checked. How does the computer know when to clear itself? A cheap, generic scan tool, like you can buy online or that the auto parts store uses, doesn't have the ability to retrieve long-term storage or manufacturer specific codes. Your LAKE FOREST, CA, service center has spent a lot of money on high-end scan tools and software to do a deep retrieval of information from your engine control computer. How do you know the right solution? Back to the fever analogy, do you need surgery or an aspirin? Leave it to the pros at West Coast Rovers. Give us a call and let us help you resolve your check engine light issue.